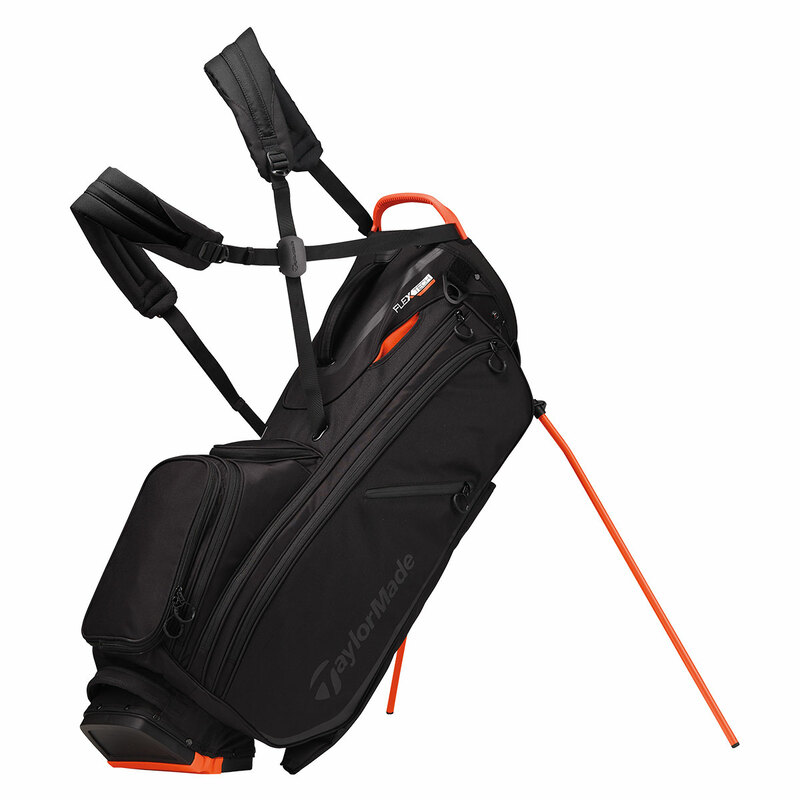 TaylorMade FlexTech bags have an improved stand and collapsible base, to eliminate club crowding. 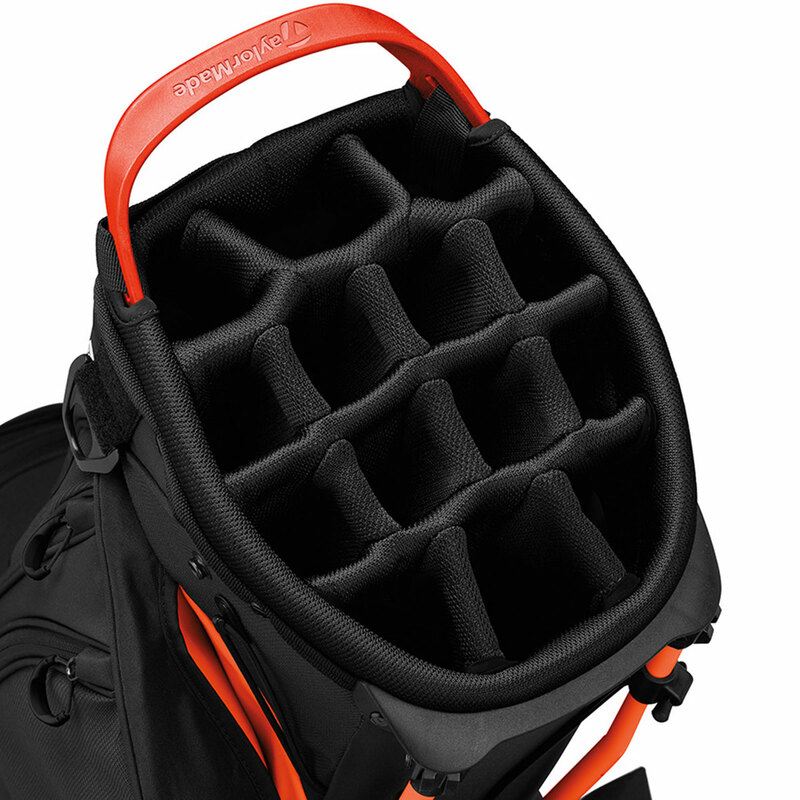 Plus features an extremely comfortable dual padded strap system which self-adjusts to ensure the weight of your equipment is more comfortable to carry. 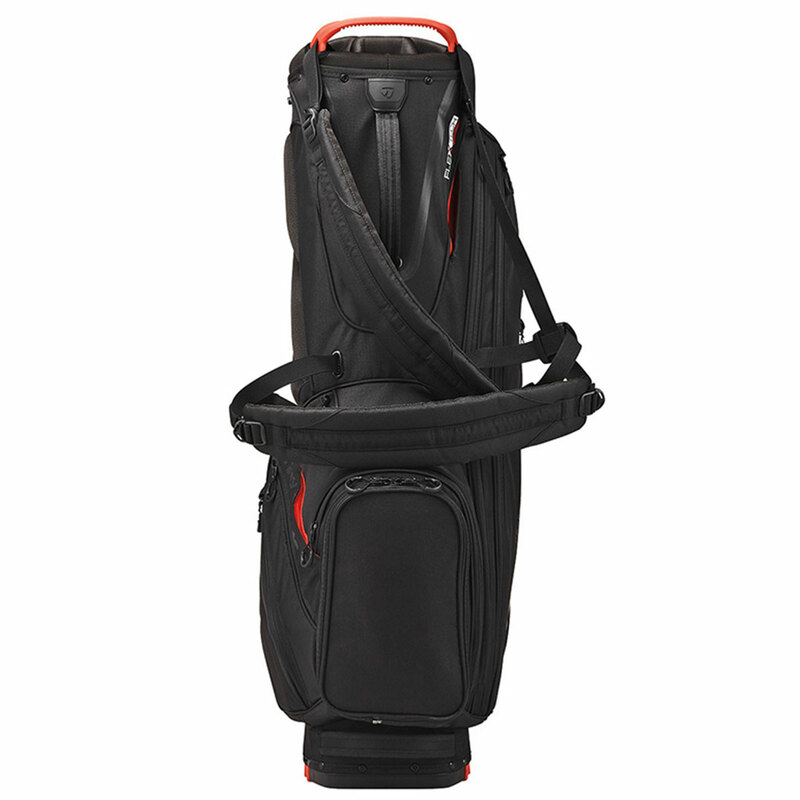 The bag has a full-size 14-way top cuff with lift handle, to ensure you have space for every club, all full-length dividers to ensure easy club retrieval and protection. 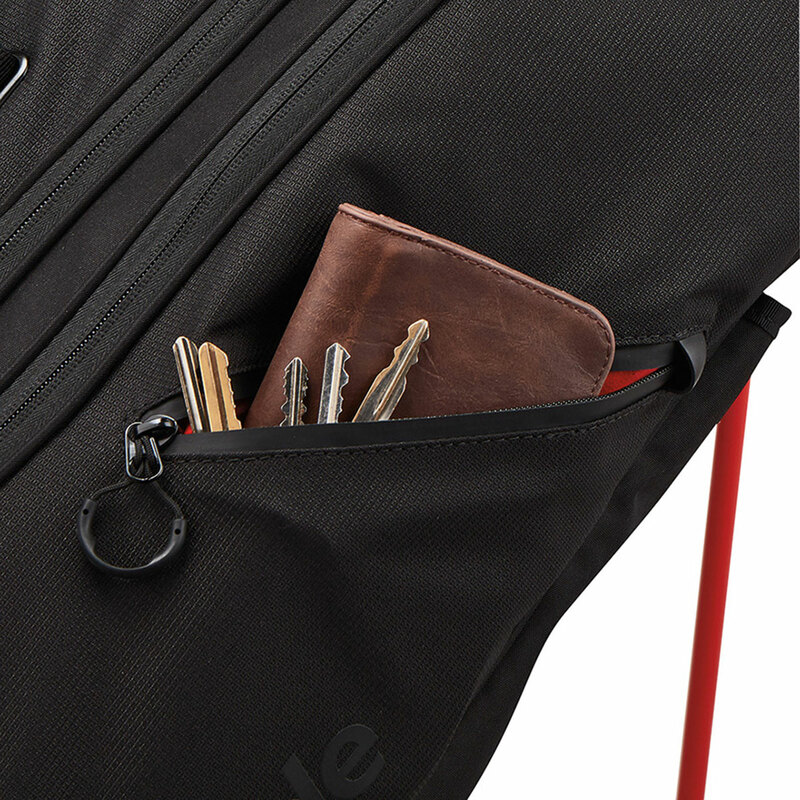 To get your clothing and essentials organised the bag has 10 pockets in total, with 2 large apparel pockets, valuables pocket with micro-suede lining, and a large insulated cooler pocket with drainage, as well as other essential pockets such as a custom ball pocket. 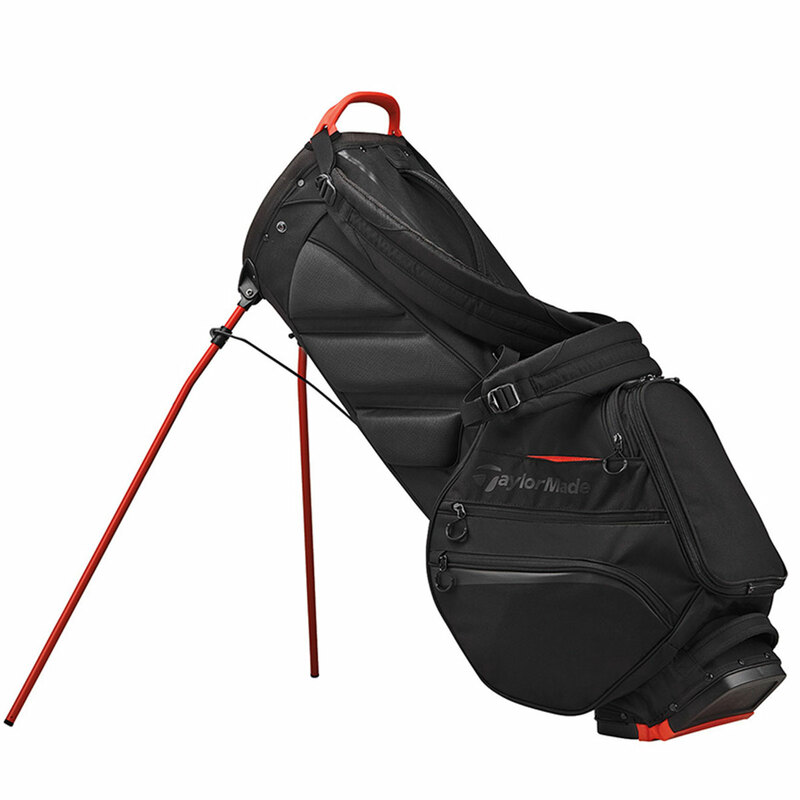 An anti-split stand provides greater stability, has a padded hip pad for extra carrying comfort, and has glove-friendly zip pulls and includes a matching rain cover for weather protection. Weight 2.7kg.